Cartier has always been emblematic of quiet luxury, so it’s no surprise they aren’t making much noise about the 100th anniversary of the Tank Watch, one of the most enduring horological icons of the modern era. Louis Cartier designed the original Tank watch as a gift for General John “Black Jack” Pershing, commander of the American Expeditionary Force on the Western Front, and it was first offered to the public in 1919. The likes of Cary Grant, Gary Cooper, Andy Warhol and Frank Sinatra went on to wear one. Aside from the cool new book on the Tank Watch that we told you about last month, Cartier is releasing a slew of new Tank watches to celebrate the centenary. 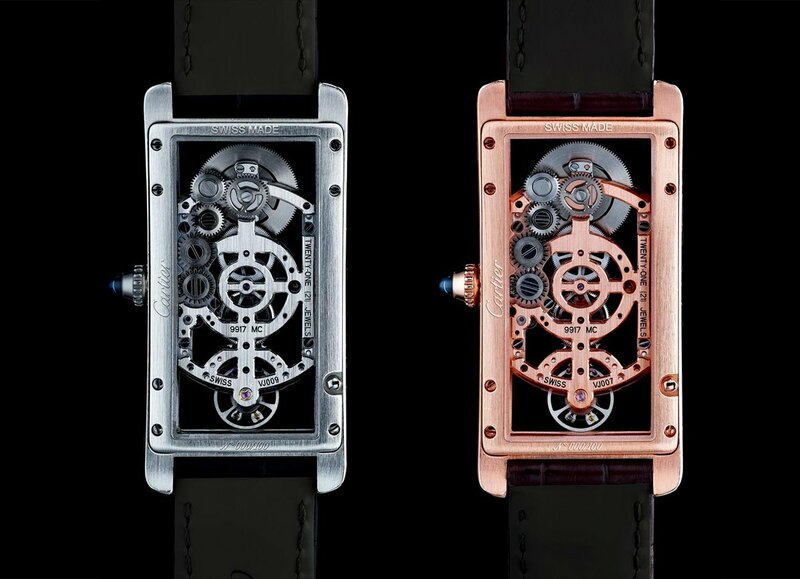 The first release comprises six new watches, but four of them are more akin to jewelry as they’re festooned with diamonds and likely of little interest to male buyers, so we’ll focus on the two that are more in keeping with the iconic Cartier collection and aesthetic of the Tank. Just like the 50th Anniversary of the Sea-Dweller, Cartier has also joined in on creating a homage. There are now several Tank variants but the new 100th anniversary models are all based on the most classic version, dubbed the Tank Louis Cartier or Tank LC. It says something about the ongoing trendiness of rose gold that both watches are only available in that material. The two handsome rose gold models are 29.5 mm x 22 mm and 33.7 mm x 25.5 mm. Of these, we like the larger case. Cartier has kept things completely classic with the anniversary Tank LC’s and these are watches that would look good on anyone. Both dials feature a silver finish, two blued steel hands and the Tank’s signature Roman numerals along with the iconic Cartier cabochon crown. Cabochon refers to a gemstone that has been shaped and polished rather than faceted like a diamond. As always on Cartier timepieces, this is made of blue sapphire. The larger version is priced at $11,500 while the smaller model comes in at $9,150. 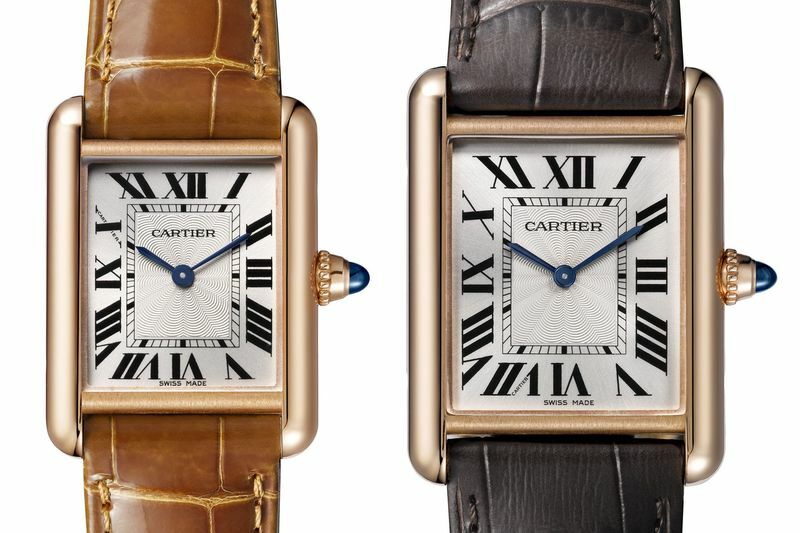 Both are powered by Cartier’s in-house hand-wound caliber 8971 MC movement. Next up Cartier is also releasing a limited-edition Tank Cintrée Skeleton, priced at $56,000, in a unique curved case with a custom movement to match, but this is more of novelty than a true Tank. And to follow will be versions of the Tank Américaine and Tank Française, more classic in nature. The new Tank Américaine will be made in stainless steel with a first-ever blend of polished and satin finishes. Prices will range from $4,000 to $9,000-plus. As we noted the Cartier Tank has long been worn by both men and women, the latter including Princess Di, Patti Smith and Claudia Schiffer. And the Tank’s charms haven’t faded at all in 100 years.